Leonard and I visited the Page Museum while Frances and Leonard Susanna went to the Art Museum. We saw the BYU movie about the dinosaur finds at Day [?] Mesa. Leonard was really impressed. He talked of nothing else all day. 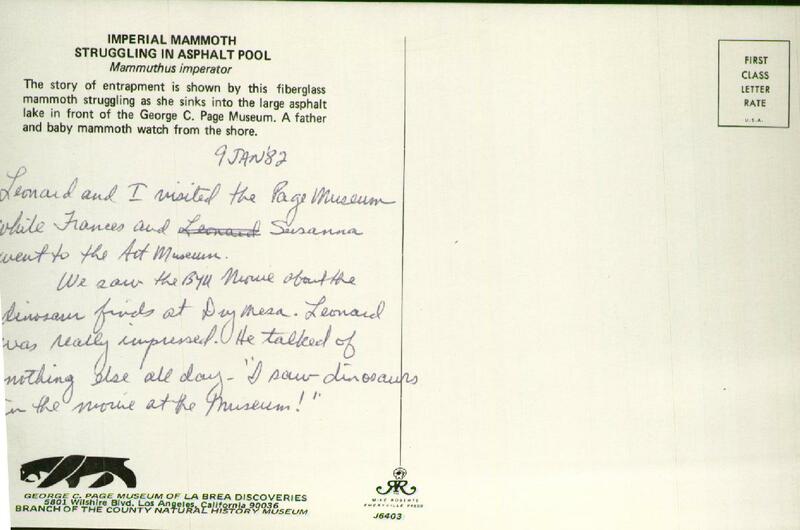 "I saw dinosaurs in the movie at the Museum!" 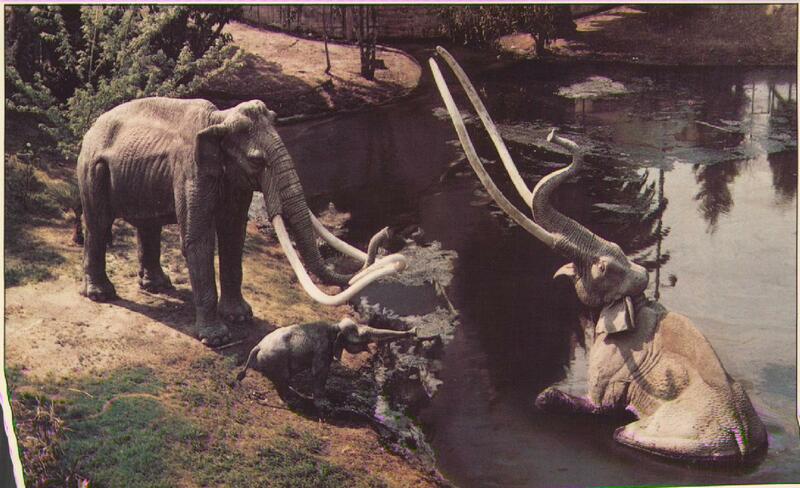 The story of entrapment is shown by this fiberglass mammoth struggling as she sinks into the large asphalf lake in fromt of the George C. Page Museum. A father and baby mammoth watch from the shore. That baby mammoth is so sad!